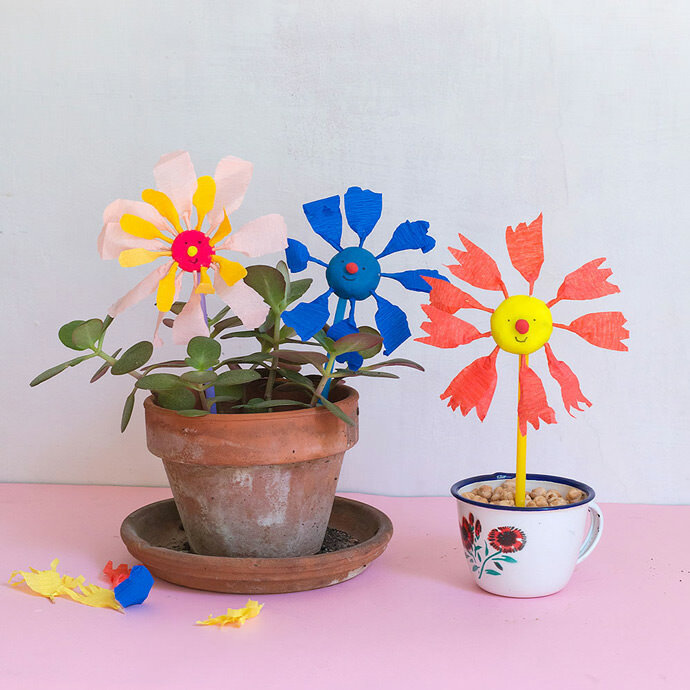 These colorful flowers make a perfect Mother’s Day gift and a cute, easy kids’ craft to keep toddlers entertained. 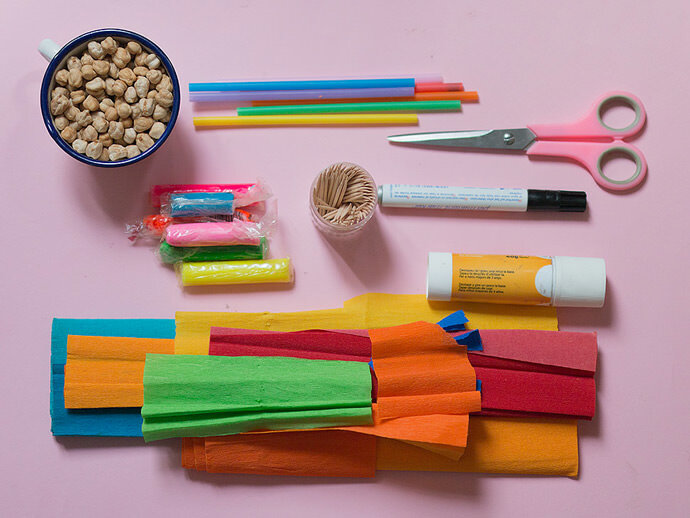 This simple color sorting activity builds fine motor skills and allows kids to explore through play and hands-on learning. 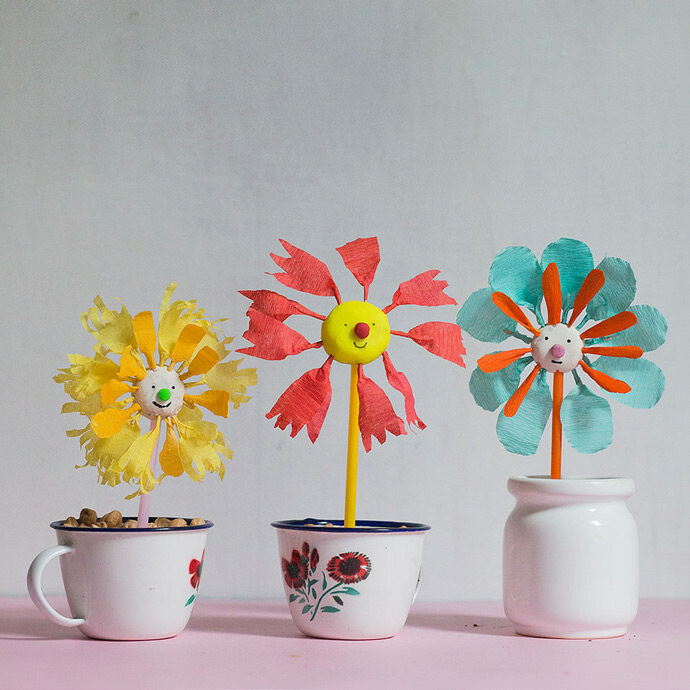 Kids can build their own small gardens, create lovely bouquets, decorate indoor plants, or use these flowers as awesome cake toppers! Download and print the template, then cut out the petal shapes. 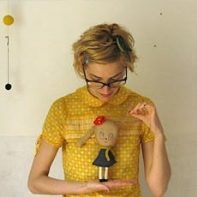 Cut a strip of crepe paper and fold the strip several times. 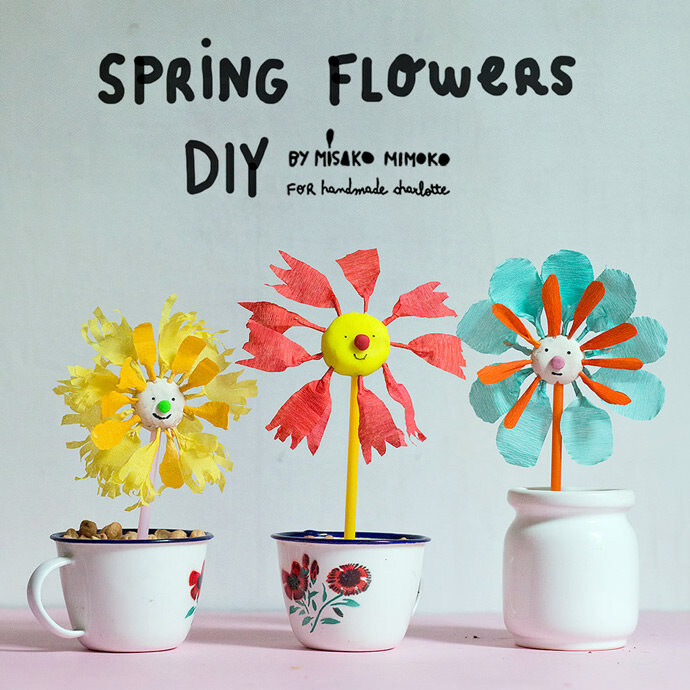 Cut out different petal shapes from the folded crepe paper. 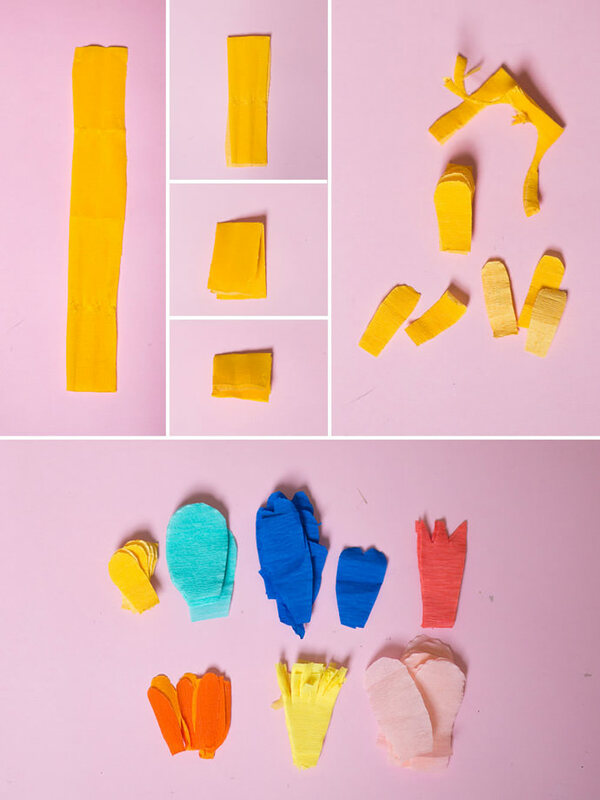 Use different colors of paper for each shape to allow kids to sort by shape and color. Cut the toothpicks into two or three pieces. 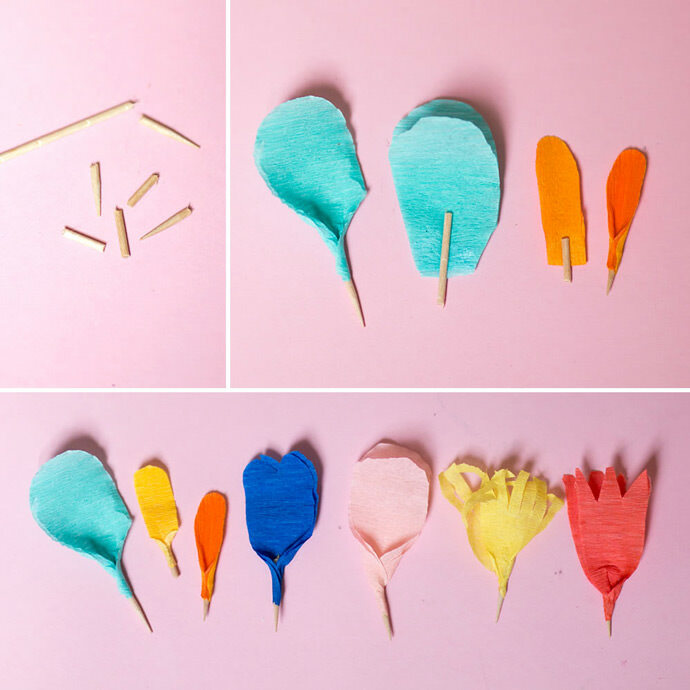 Wrap the crepe paper petals around the top of the toothpick pieces and glue them in place, positioning the petals so they stick up off the toothpicks. Let them dry. 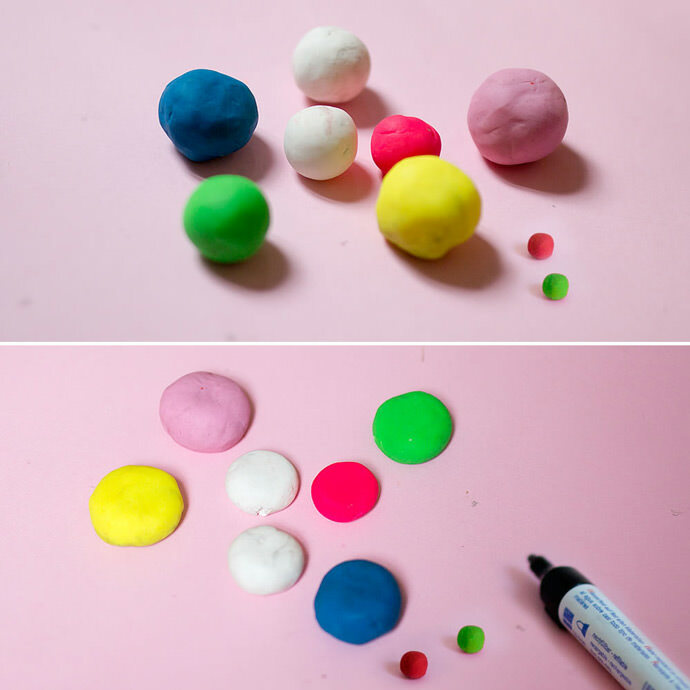 Roll the playdough into large and small balls[.1] . Flatten the large balls. Place the small balls on the flattened large balls, then draw eyes and mouths on the small balls using a marker. 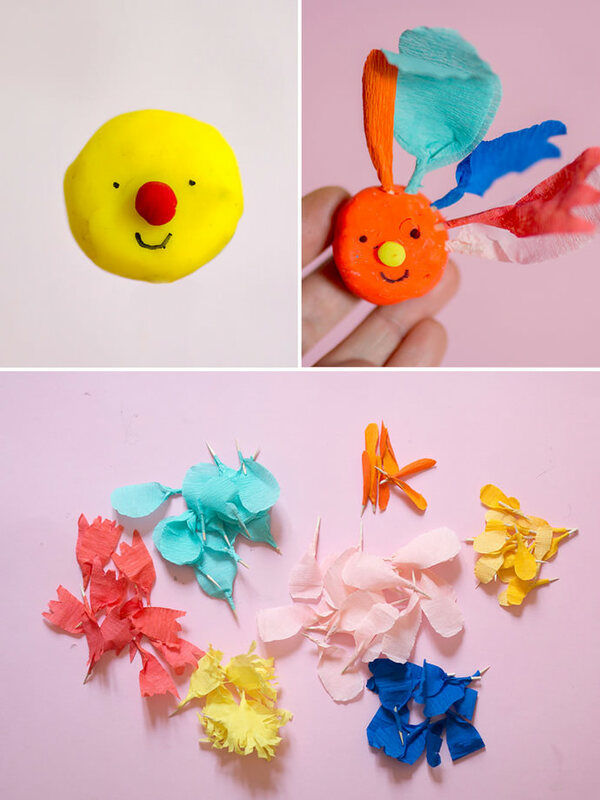 Now it’s time to decorate your flowers! Stick the toothpicks into the small balls with the faces, arranging the toothpicks around the balls. 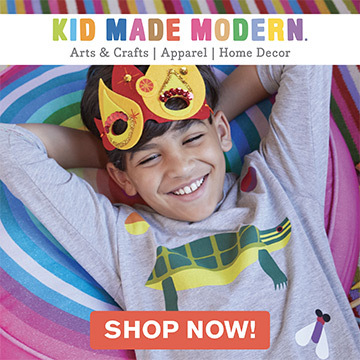 Encourage your children to use the same colors and shapes or to combine different colors and petal shapes. Stick a straw into the bottom of the flattened large ball. 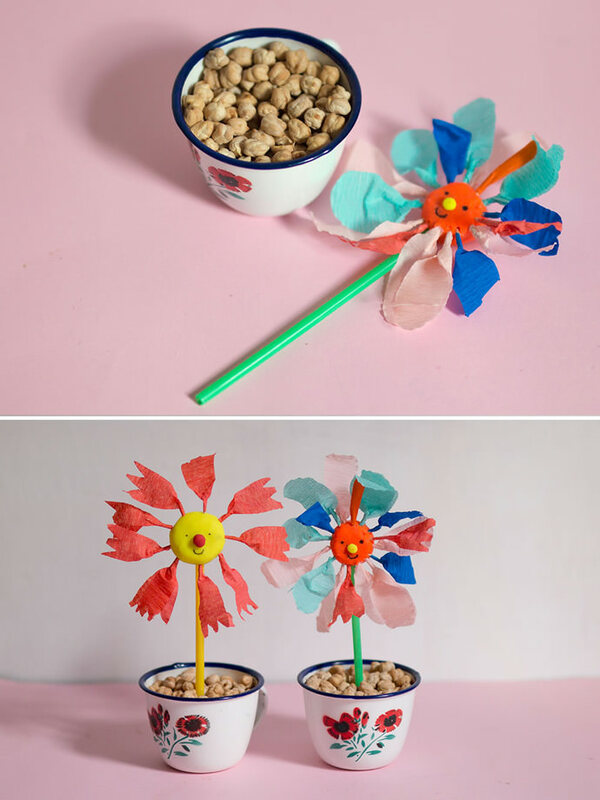 Fill a cup with chickpeas or any other filling to help the flowers stand up straight. 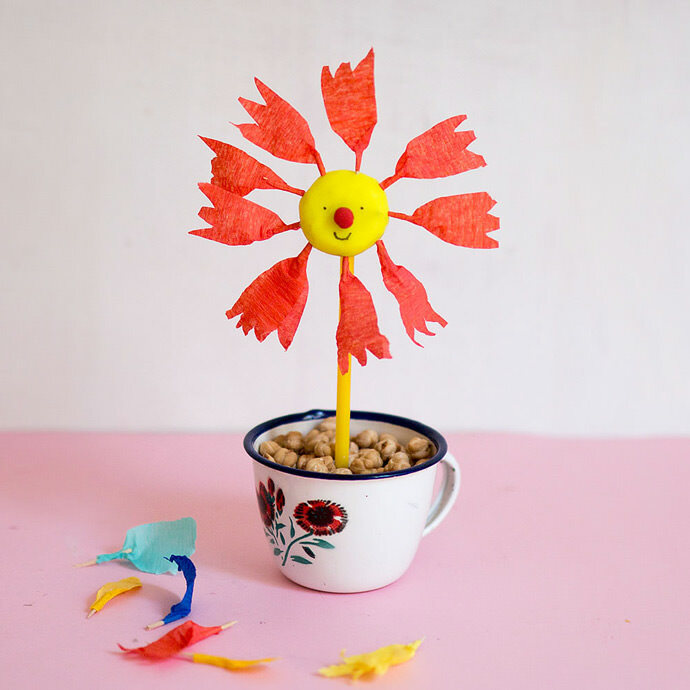 Add a little piece of playdough inside the cup to help the flowers stay in place. 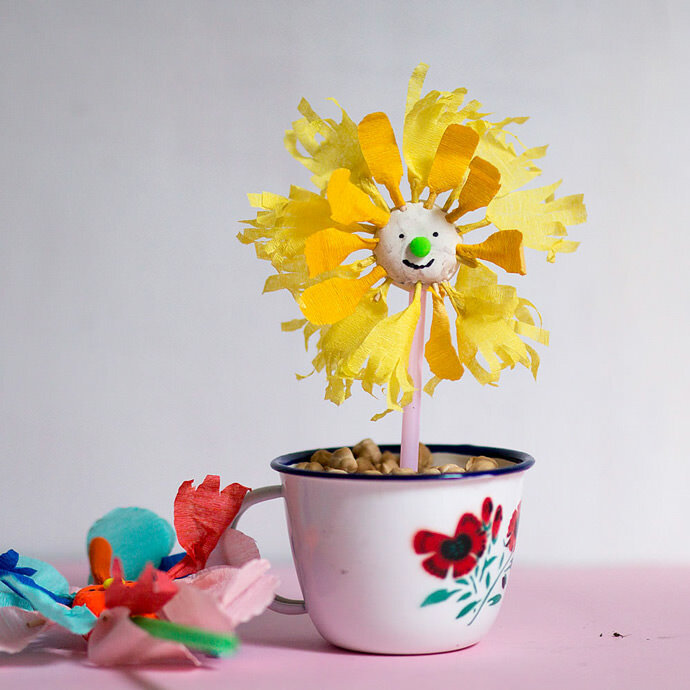 Stick the straws into the playdough inside the pot to make them bloom, and enjoy playing with your new, beautiful flowers that will never wilt.